On March 16, 2014, Joe Inzerillo, Executive Vice President and Chief Technology Officer at MLB Advanced Media (MLBAM), gave a fascinating lecture, as part of the School of Media Studies’ lecture series, on technology and baseball, as well as his organization’s developments in live streaming and Internet technology. 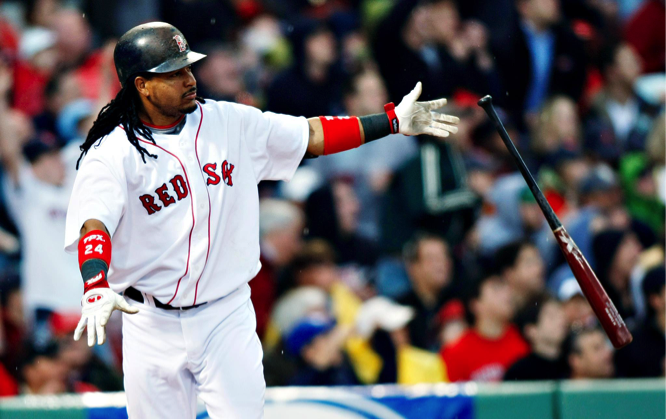 Baseball has a long history of integrating innovative technologies both on and off the field. Thomas Edison chronicled one of the first games at the onset of film in 1898. Even the field environment itself, seemingly the most “analog” of environments, has improved with the advancement of architecture and technology. A few notable examples include Philadelphia’s steel and concrete Shibe Park construction in 1909, the first three-tier structure development at Yankee Park in 1923, Fenway Park’s introduction of lights in 1933 (with night baseball launching at Crosley Park a few years later in 1935), and the Astrodome equipped with air conditioning in New Orleans in 1965. And over the years the live action on that field has been “augmented” with scoreboards, statistical displays and screens for instant replays. Film, photography and motion graphics have transformed the way we mediate baseball for remote viewing. MLBAM represents the next step in our technological “augmentation” of baseball, and is now engaging in a high level transformation of how baseball’s fanbase interacts with the sport through interactive design, social media apps, and powerful streaming capabilities. Acknowledging the dramatic and fast-paced evolution of recent live streaming technologies, pay TV, and new options for “bundling” programming, Inzerillo stressed that this proliferation of options will “enlarge the pie, as opposed to stealing other people’s slices.” Everyone wins, he suggests: MLB, other companies, and most of all, the consumer — and these options provide robust opportunities for MLBAM to engage and partner with other companies and industries. The MLB’s partnerships and consumer feedback continue to allow customers the ability to be specific about what they want and to choose what they deem valuable. This brings into question how this new technology might advance the “cord cutting” revolution — that is, the rejection of traditional cable service. MLBAM has not only set a trend with their emphasis on cord cutting, but its business model enables content providers to engage in OTT (Over-the-Top) online functions. With OTT and online functions becoming readily available and status quo, these services could lead to a drastic change in bundling and the pay TV model consumers know today. However, with innovations and customizable content readily available in apps, online, and even in person, one must consider the idea that data can reach a saturation point. The question of oversaturation is worthy of further analysis as technology continues to multiple the means by which we can access mediated content. Inzerillo acknowledged that both as consumers and content providers, we do risk an overload. As a consequence, he says that “we need to make computers work harder for us” with contextual and accurate content — that is, content that provides a framing story for the game, along with useful statistics. By presenting relevant statistics and information, MLBAM strives to make content that is both “elegant and functional”. When considering integrating a new feature or service, Inzerillo says he and his team ask themselves: Is this something that is vital to MLB consumers? Inzerillo was the first to point out that these innovations appeal largely to a younger demographic of baseball fans. In spite of this, the MLB aims to “ride the middle” by enabling additional options of content consumption (both online and in-person) without altering the conditions of the game. Younger generations of fans are looking to consume the game differently, so more information is produced in the form of apps, integrated technology in the ballpark and increased access to statistics. Older generations may not be as accepting of the advancements in technology, which has encouraged MLB to leave the physical game (the player and the baseball itself) unaltered by technology for the time being. 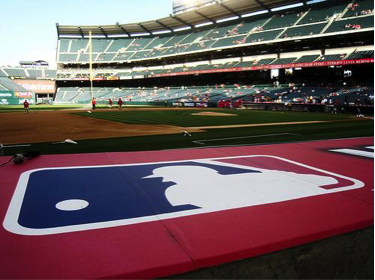 Considering the divide between baseball’s traditional and modern fan bases, the question remains as to whether or not these technological advancements increase the risk of overshadowing the game itself. Is the excess of technology in sports truly necessary or has it become cultural pandering? The possibility of excess aside, these technological advancements do breed positive opinion amongst the modern baseball fan base. While baseball has historically been primarily a “human” sport, it now exists within a specialized environment (the ball field/baseball diamond) that is capable of adapting to the progression of technology — as are the fans themselves. As Inzerillo pointed out during his presentation, there is a vast future in measuring, mediating, and augmenting the ball field to provide a technically rich baseball experience for athletes, coaches, fans of all ages. Player and Ball Tracking via Statcast and PitchFX, pacing the game through high visibility clocks, camera synchronization for instant replay and MLB’s large video infrastructure and network are a few of the technologies the organization has rolled out in the past decade. It’s clear that these impressive developments allow for wider accessibility to the game and the sport in general, as the fan can engage with players and the field in what may translate as a more intimate user experience, or for some fans — particularly those of older generations — a more alienating experience. MLB is both heightening the user experience for the newer generation of baseball fans, while also fracturing the authenticity of the game for the older generations that have less interest in integrating technology into their lives. A deeper look into baseball’s technology and human elements undoubtedly reveals an interesting relationship between the two and the future advancement of man and machine on the field. In addition to the question of the necessity of technological excess in baseball, another question one might ask is exactly how far can we go with technology on the ball field? Based on the high level of capture technology that MLBAM has access to, the use of multi-camera approach allows an opportunity to document plays on the field in a manner that exceeds the perceptual capabilities of a human on the field. The human umpire is currently the officiator of the game who holds the power of making calls based on his observations. It doesn’t seem out of the question to increase dependence on the camera’s documentation method when making calls and eventually replacing the human officiator with a purely technological device with a lower probability of error. While the camera technology’s documentation can be distorted by technical malfunctions and operator error, there is an element of objective truth in a recorded image that can be viewed and verified by many that that is incomparable to human observation. When asked about the probability of error with the human umpire, Inzerillo emphasized the high level of training that both umpires and players engage in throughout their careers in major league baseball. He offered MLB’s focus on modern kinesiology, physical training and nutrition as major factors in building more powerful athletes and umpires who have quick reaction time, stamina and clarity of mind. Video coaching is one feedback component that is used with coaches, players and umpires to track habits and analyze opportunities for improvement. MLB considers both their players and umpires to be both physically and mentally elite. They are acutely aware of the need for quick, efficient response, which leads them to continuously focus on improving mind and body of all involved on the field. 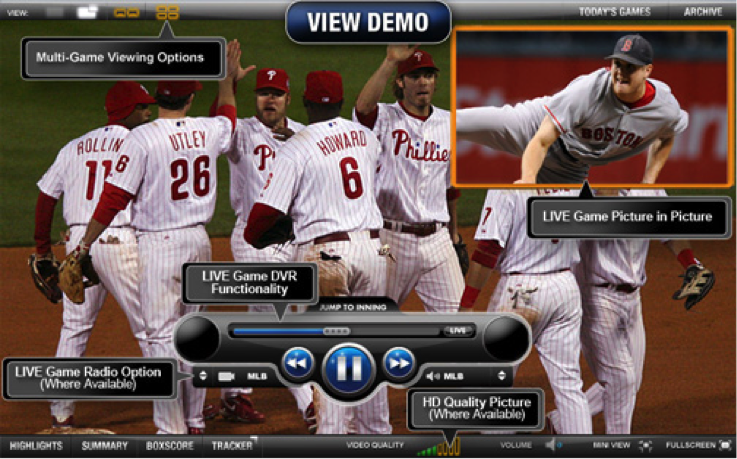 Video coaching and MLB’s technologies can aid in these training efforts. This marriage of technological and biological optimization ostensibly produced the ideal athlete — one less prone to human error. This kind of bio-technical training and management has implications for other industries, as well. While these developments might lead to increased human potential, they also run the risk of proving exploitative, raising a host of bio-ethical and political-economic concerns. Time will tell whether or not continued advancement and saturation will positively or negatively impact not only baseball, but the way we relate to and communicate with one another in all arenas. In this cultural landscape largely mediated by digital technology, consumers come across a much wider array of signs, symbols, codes, annotations, etc. With such augmented modes of interaction (such as the previously mentioned apps and interactive field features), this new digital landscape can be considered a form of hyperreality for some consumers. Hyperreality, as Umberto Eco defines it, means the subsumption of the “original” and authentic work to its enhanced, richer “copy”. For our purposes, the mediated MLB experience possibly feels more “real” to the younger generation — those who grew up with satellite, surveillance imagery, and selfies — because they can more closely interact with it. An example of how baseball provides recent generations a more “real experience” by their standards includes the opportunity of making more direct judgment calls while using various viewing tools and apps versus. In “From Work to Text”, semiotician Roland Barthes defines the piece of work as closed, fixed, complete, easily categorized and meant for absent-minded consumption, and the text, in contrast, as open beyond itself, incomplete, intertextual, resisting categorization, and fostering multiple interpretations. With so many modalities through which to engage with the game, and so many layered data streams “enhancing” that game, the live and mediated baseball experience are both power cultural texts that grant audience members tremendous agency in giving them shape. Even as baseball and other historied pastimes become more and more “mediated,” the sport will indeed continue to be a strong, relevant experience because of its rich history. Among the more fascinating aspects of Joe’s presentation were not only his individual passion for the game but also his emphasis on “trying to tell the narrative of baseball” through technology. It’s not all about using this technology to create flashy boards and analytical data that drive their business; the MLB is interested in furthering the historical narrative of baseball. It’s clear that this game is deeply embedded in American culture. Now that we are moving quickly towards a chiefly digital universe, baseball must also incorporate these elements to stay up to speed and in sync with the modern narrative of our lives. 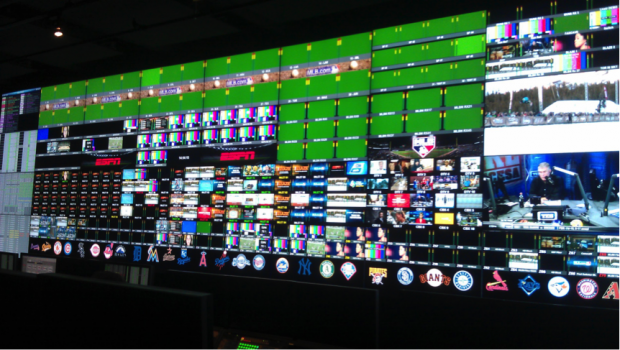 It’s no surprise that baseball has jumped on the technological bandwagon, and the work they are doing at MLBAM is remarkable. However, we must remain critical aware of how this mediation impacts the physical game both positively and negatively,and how technology and people work together in shaping the distinctive time-space experience of our favorite pastime.